Yes it is another Simian Saturday on the Green Skeleton Gaming Guild blog. Unfortunately work and graduate school have reduced my gaming and gaming posts to nil. I do have to share some cool posts I found this past week over on the Save vs. Dragon blog. All worked up as playable races for BX/Labyrinth Lord! Very cool and I think just begging to be plopped into a Anomalous Subsurface Environment Campaign! 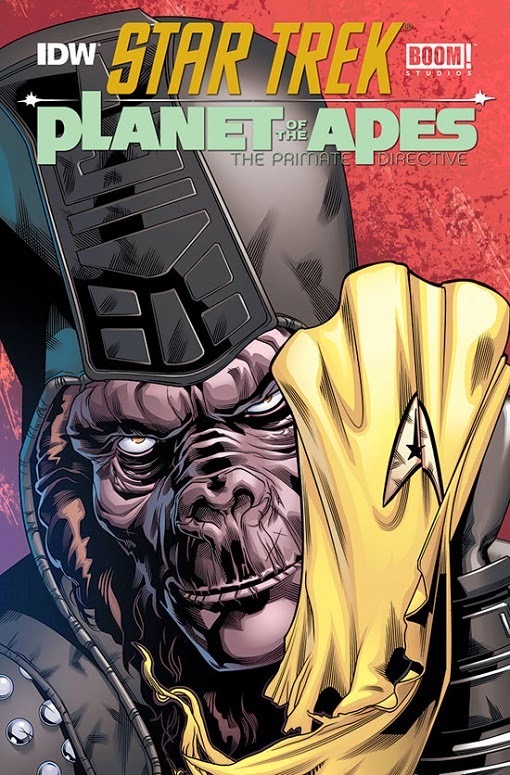 Star Trek meets Planet of the Apes! "Get your hands off me, you damn dirty Klingon!"